Lost amid the hullabaloo over Donald Trump’s tariffs on imported steel was a little-noticed protectionist offshoot that threatens to be equally destructive. U.S. Commerce Secretary Wilbur Ross announced this month that the administration would levy duties of up to 32 percent on Canadian paper imports. The move — imposed in response to complaints from a lone Washington state company — threatens to destroy far more jobs than it saves and creates further financial challenges for U.S. publishing companies, including newspapers. It’s no secret that the newspaper industry has been in a state of transition for almost two decades, struggling with declining circulation and advertising as readers absorb more information from free online sources through smartphones and other electronic devices. Overall, the industry has lost circulation for 28 consecutive years, and ad revenue has fallen precipitously. 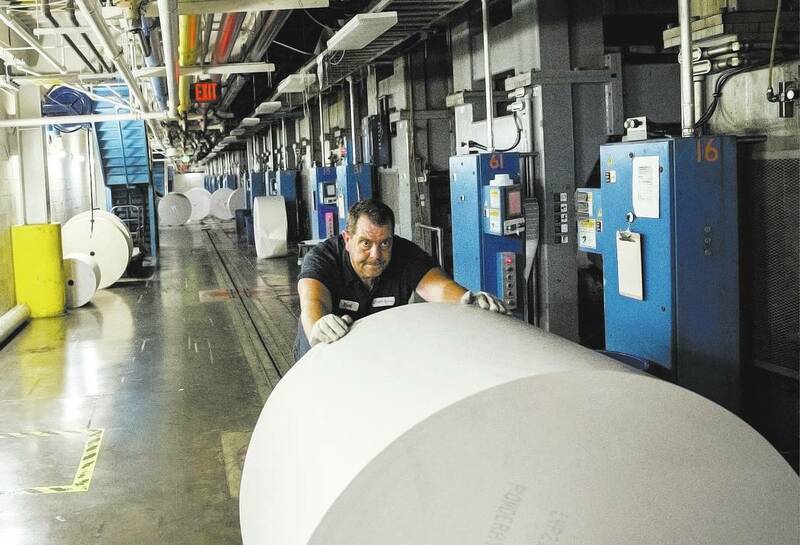 The tariffs will raise the price of newsprint, potentially driving publishers to increase subscription rates while cutting costs by reducing pages, cutting back production or even laying off workers. In short, the Trump duties will make it more difficult for newspapers — particularly smaller publications, of which Nevada has many good ones — to serve their communities. To make matters worse, the Trump administration insists on taking this destructive step to protect one small operation in the northwest, Northern Pacific Paper. The company, which filed a complaint last year alleging that Canada unfairly subsidizes its paper producers, is owned by a New York hedge fund and employs 260 people. Meanwhile, American jobs in newspaper publishing and commercial printing number around 600,000. Mr. Trump made no secret of his support for “fair trade,” articulated in his Make America Great Again slogan. He has also bragged that trade wars are “easy to win.” Whether he believes his own hyperbole or whether it’s all part of some big-picture “Art of the Deal” strategy remains to be seen, but in this case his brinkmanship could jeopardize an entire industry — an industry that plays a vital role in promoting the principles that sustain and nurture our democracy. Yes, the Review-Journal has skin in this game. But we have long promoted the value of affordable goods and consensual commerce while speaking out against those who would erect barriers that drive up costs for U.S. consumers. The Trump newsprint duties are horrible policy all around, and the president should reconsider. If he doesn’t, you should ask Sens. Dean Heller and Catherine Cortez Masto, along with Reps. Dina Titus, Jacky Rosen, Mark Amodei and Ruben Kihuen, to make their voices heard — loudly.